First of all let’s look at the facts, which truck has the most power. When it boils down to it trucks are made for working. 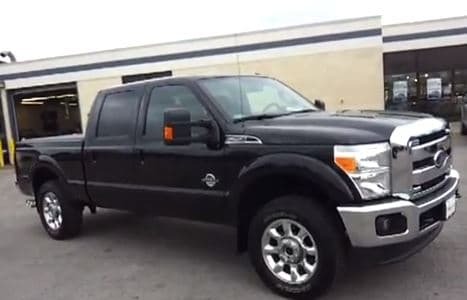 Towing, hauling, pulling, it all depends on how much power and torque your truck has. Although power stats are not the end all be all of pickup comparisons, it is fun to know the stats so you can win that argument with your buddies. Looking at the top 3 diesel truck makers, Chevy, Ford and Dodge here are some results. 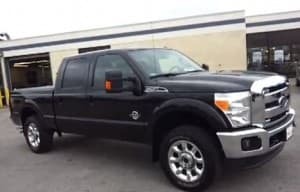 The 2012 Ford Super Duty F-250 boasts the most horsepower at 400, is tied with the Dodge Ram 2500 for the most torque at 800 lbs/ft. It is about a ton heavier than the Dodge but it has a much heavier payload capacity. The Chevy weighs 300 pounds more than the Ford and has almost as much horsepower at 397. It was a little off Ford and Dodges torque number as well with 765 lbs/ft. The Chevy had a payload capacity of 4,192, about one hundred pounds less than Fiord but still over a thousand pounds more than Dodge. So it seems like the Dodge Ram 2500 is a truck if you want a light duty diesel. Maybe it gets better fuel mileage with a less powerful engine and lighter frame. Either way the lighter Dodge truck still builds impressive torque for towing. No matter which truck you like best they are all great vehicles. Ford wins out the statistics battle but only once they are tested in action will you truly now which diesel truck performs the best.